The game we are about to present to you is one of the top games manufactured by Greentube, and it is placed in the top 10 Gaminator games. This is a collection of games, including Book of Ra, as well as many others – and they are well-known for its incredibly popular classic and deluxe Slots games. This is a game inspired by Dr Indiana Jones, a character from one of the most popular and most infamous movies of all times, directed by Spielberg and played by Harrison Ford. There are 4 movies released, all with Ford as Indiana Jones – with a new one upcoming in the year of 2020. The plot sets around the archaeologist (Jones) who is hired by the U.S Government to find the so-called Ark of the Covenant, which is believed to still hold the ten commandments. But he is not the only one out to find that Ark – which leads to a chase for finding the Ark and the start of a quest to take it from Nepal to Cairo. It is a thrilling and praised series of movies, with the first movie, Indiana Jones Raider of the Lost Ark, rolled the box office to $1.978 billion! Quite fascinating! These thrilling movies have also been inspiring quite a few other movies, games, series, and Video Slots – just like today. We are presenting; Book of Ra, a game brought to you by Greentube! A game that holds an RTP of 95.10%, Free Spins, and expanding symbols. Let´s check it out! Book of Ra Video Slot is a game offering you a theme placed down under ground, in the tombs you are familiar with if you had seen the Indiana Jones movies. The dark aisles lit up by torches are in the back, with well executed and suiting symbols on the reels. The lower valued symbols are made up of classic card deck symbols in various shapes and colours. The higher valued symbols are then the blue scarab, the Egyptian winged Goddess Klejonka, the Pharaoh, and Indiana Jones himself. These are all worth differently depending on what bet size you play with – and the higher the bet, the higher valued the symbols are. But what you truly want to find on the reels of this game, is the Book of Ra – which is a symbol that can grant you no less than 2 rewarding features. We will tell you all about them below! The Scatter Symbol is then the Book of Ra, with red velvet and golden letters surrounding it. When 3 or more of this lands on the reels of the game, 10 Free Spins are awarded, along with a special expanding symbol. This one cannot be substituted by a Scatter during the Free Spins. 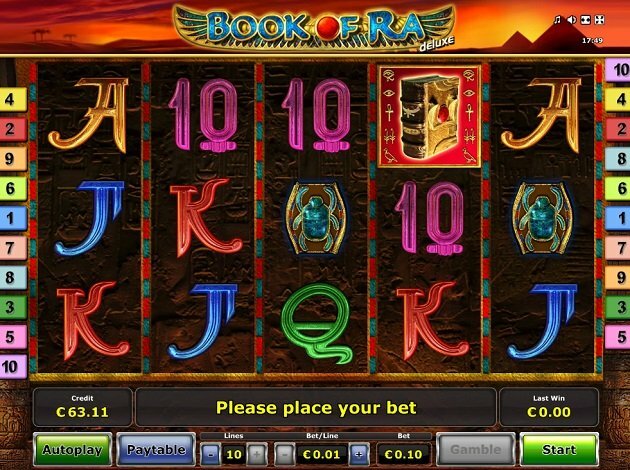 Book of Ra Video Slot is a game played with 5 reels over 3 rows and additional 10 paylines. 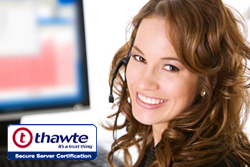 You can choose yourself how many paylines you wish to keep active throughout the game, but the more the better. The wins are all paid out for combinations of a kind, and from combinations made from left to right – except for Scatters that pays in all direction. The game holds an RTP of 95.10%. Book of Ra is, as mentioned, one of the most popular games ever created by Greentube – going from land based to online, and still delivering top class gameplay. The entity of the game is very nice, but this game also shows you just what skills Greentube has when it comes to graphics and designs. There are numerous details in the game that you only see if you truly look – and they are made in flawless details, taking you on a true Indiana Jones adventure. The backdrop shows the underground tombs that you are playing in, in search of treasures. But you can see up to surface, where the pyramids of Egypt are lines up, with the desert and the beautiful desert sunset taking place. In front of all this, you can see the reels placed, made in scripted tombs, with colourful and vibrant symbols on. Greentube is one of the most appreciated, well-known, and most experienced game suppliers of everything from software, games, and land based gaming products in the world. With its launch in 1980 and their successful, international expansion only 2 years later, the company strived and reached all its goals quickly. Today it has offices and locations in over 50 countries all over the world and still exporting high-tech gaming equipment to over 70 countries. The company has 24,000 employees, all working to provide its players with brilliant products, which consist of among others 160,000 gaming terminals! The way to its success can surely be found in its dual strategy as the work goes from being producers of high-tech gaming equipment and operators of electronic casinos, regular casinos and sports betting outlets, as well as technology and service partners in the lottery segments. As you hear, there is no stopping to this brilliant company. But we are here for its online Video Slots – and they are sure brilliant too. Currently, over 240 Video Slots are offered by Greentube, and they all offer us vivid themes, a grand gameplay, thrilling features, and big winning opportunities – which is why Greentube is one of the most beloved game suppliers on the markets. They also offer Video Slots for both online and land based casinos, as well as Multigames, Jackpots, and Electronic Table Games.